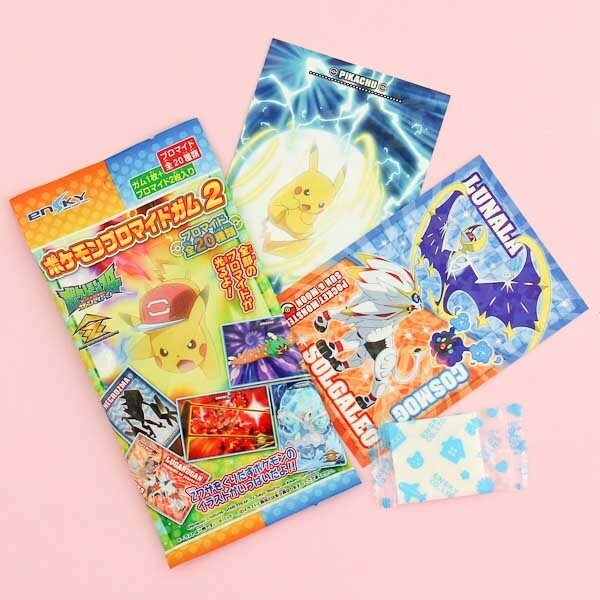 Brighten up your Pokémon collection shelf with these cards featuring the characters from the famous video game & anime series "Pokémon Sun and Moon". 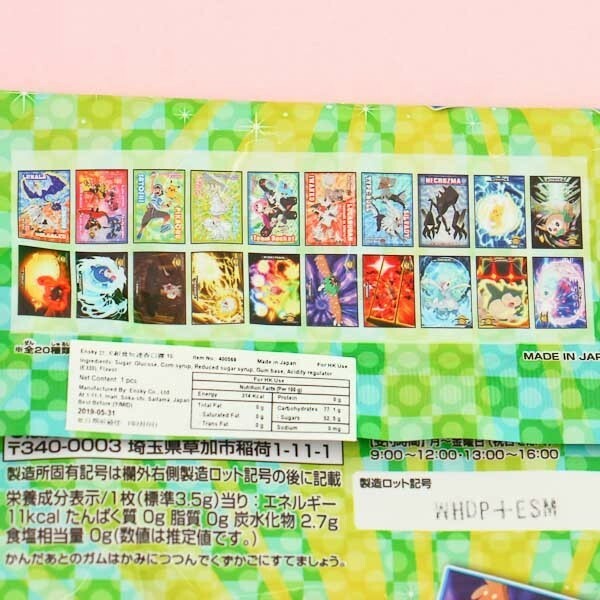 One package includes 2 random collectible cards, and a soda flavored chewing gum! Each card has some Pokemon facts / quiz questions on the backside. Wow!